Attention is normally attracted to the use of the word "New." Such is definitely the case for SpaceBridge Incorporated, as the company has been renovated from "Advantech Wireless Inc." to "SpaceBridge™." 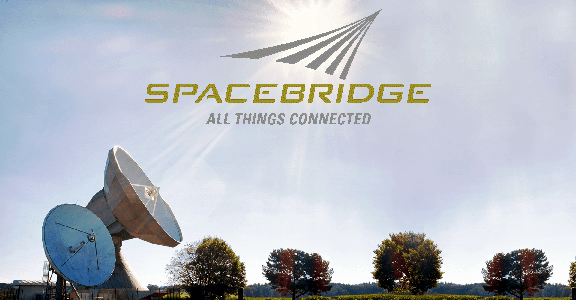 The firm's new journey has now begun for "All Things Connected" — SpaceBridge enters the global SATCOM marketplace with their new name and commitment to excellence. Advantech Wireless Inc., is now doing business as SpaceBridge™. The company thanks all of their partners, clients and suppliers for helping them to significantly grow their business and SpaceBridge™ remains committed to the same degree of excellence, spirit of innovation and customer satisfaction as previously demonstrated and experienced over the past 30 years of operation. Above all, we commit to rewarding our customers with unsurpassed technologies and solutions that have been developed by the firm's talented and loyal team— a team that has earned customers' trust with innovative technology development, superior product delivery and customer service. A new journey has now begun — please join SpaceBridge™ as the company addresses current and future technologies — today.